January 1: All taxable property is listed, valued and assessed for taxation. February 15: Exemption applications to be filed with County Assessor for pollution and fire control equipment. March 1: Second installment of prior year property tax due (delinquent after May 10). Taxpayers must file a listing of taxable personal property with Office of County Assessor. 4th Monday in April: Assessment schedules are mailed to taxpayers. Written objections must be filed with Assessor within 30 days of mail date. May 1: Taxpayers are notified of amount of pollution and fire control exemption approved by Assessor. 4th Monday in May: Qualified veterans (or surviving spouse) shall file for property tax exemption. June 1: County abstract is submitted to the State Board of Equalization for review and possible change. 3rd Tuesday in June: Budget hearings for cities and towns. Budgets are set for the next fiscal year. 3rd Monday in July: County budget hearing. Budgets are set for that fiscal year. 3rd Wednesday in July: Budget hearings for schools and community colleges. Budgets are set for that fiscal year. 3rd Thursday in July: Budget hearings for special districts. Budgets are set for that fiscal year. July 31: All governmental entities and special districts inform County Commissioners of the amount of tax to be collected. August 1: State Auditor certifies amount of state appropriations and the interest on public debt, for which a levy must be made. 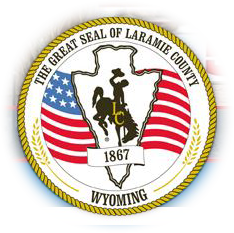 1st Tuesday in August: County Commissioners levy the necessary taxes for the year. August 10: County Assessor certifies to State Board all valuations and levies fixed in their respective counties. Assessor files with Department of Revenue annual summary of deferred taxes. 3rd Monday in August: County Assessor computes taxes and delivers assessment roll to County Treasurer for collection. Last working day in August: Tax refund forms for elderly and/or disabled due to Department of Health or its designee. September 1: County Assessor certifies to Department of Revenue the amount of veterans' exemption. First installment of current year property tax is due (delinquent after Nov 10 unless all taxes are paid by Dec 31). October 1st County Board of Equalization decides all current year protests by written decision. State Board notifies County Board of Equalization of the amount of state levy, and any change in valuation due to state equalization or correction of value. October 1: State Treasurer reimburses County Treasurers for revenue lost due to veteran exemptions. October 10: County Treasurer sends tax bills, including property description, assessed value and mill levies, to each taxpayer at last known address. November 10: Applications for deferral of ad valorem tax due to the County Commissioners. December 20: Warrants for tax refunds are mailed by Department of Health to qualified elderly and/or disabled recipients.